If skydiving is on your bucket list and you are in the northeastern United States, Rochester Skydivers is the place to be. 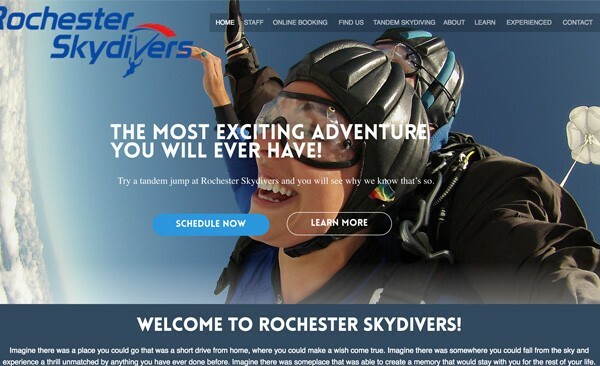 3by400 helped update and beautify the Rochester Skydivers site, in addition to adding an easy-to-use and manage online booking tool. There are also some great "under the covers" features that help them more efficiently manage their business.